There are many secrets to keeping your dog happy and one of them is finding the most balanced diet that serves its needs. 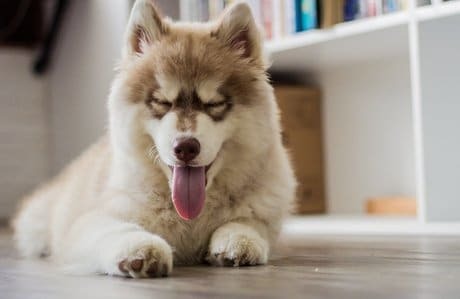 Siberian Huskies are known for living in climates with low temperatures and, therefore, their diet is slightly different from the diet of other dog breeds. 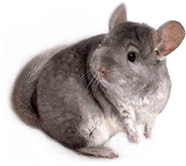 Because they are very active and need to endure low temperatures, they stock calories differently, meaning they have a tendency of getting overweight or obese easily. Thus, you should not only know what to feed your Husky but also how to feed it. Commercial dog food for Huskies is the one you buy from stores and comes in two different options – dry or wet. Dry food or kibbles represent the most common form of dog food but it may not be that healthy in the long term. On the contrary, your dog requires a lot more nutrients and vitamins than any type of kibble could offer, and this is why we recommend a diverse diet, based on commercial dog food and homemade meals. Although commercial food is more convenient to buy and store, there are healthier alternatives you should consider if you truly care about your dog’s health. Homemade food could seem rather difficult to prepare at a glance, but there are numerous tricks that can keep your dog healthy and happy with a minimum effort. The homemade raw diet consists of a variety of whole meats and bones combined with fruits, vegetables, and supplements. The main difference between homemade raw food and the commercial raw food is that you have full control of the ingredients you choose to offer to your dog, thus you can optimize the formula until your Husky receives all necessary vitamins and nutrients. 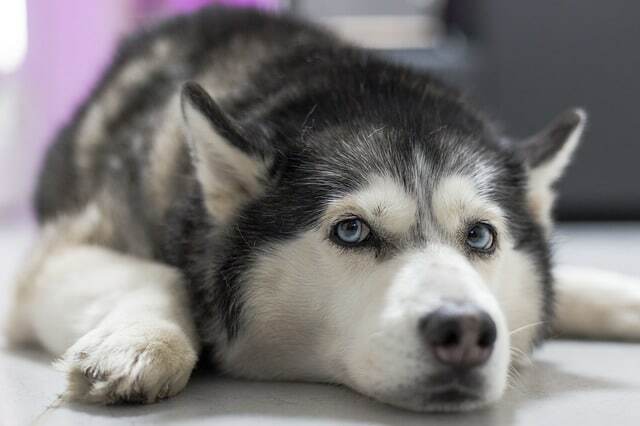 However, before switching to a homemade raw diet, it would be best to check with your veterinarian and develop the best meal plan for the needs of your own Husky. 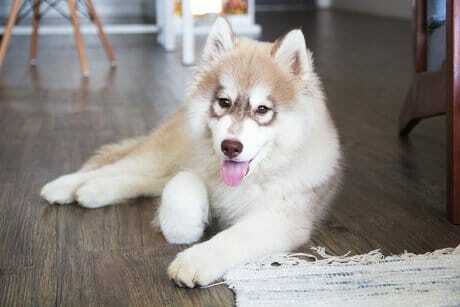 Each dog is different and the food your Husky eats should be in full accordance with its needs and lifestyle. Instead of choosing just one type of food, we would suggest opting for a balanced and diversified diet, consisting of both homemade food and commercial food. Each product comes with its own perks, so we believe your dog will benefit the most if you simply integrate different types of food. As for the homemade food itself, the approximate overall ratio of a feeding should contain about 80% meat (including ligaments and fats), 10% edible bones, 5% liver, and 5% organ meat. You can complete a balanced and nutritious diet with intakes of fruits and vegetables, as well as fish and eggs. Dairy products should be avoided or fed in small amounts in order not to cause allergies, food poisoning or digestive problems. If you liked reading this post, maybe you’d like to find out more about colitis and how it can affect dogs or how much of a difference a dog life jacket can make when you go to the beach with your pooch in the summer.